The car that “ages” with you. 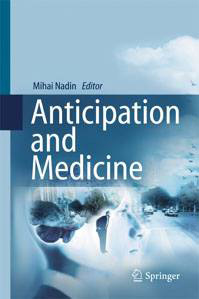 For Nadin, an anticipatory system does not depend only on past states, but also on possible future states. It is a system that adapts itself, that learns, like living organisms. The fruit of this approach is the “Aging Car” project, an automobile that adapts itself to an aging driver. A network of sensors measures, for example, slowing reflexes, weakened eyesight and adapts accordingly, helping the driver. AntÉ has worked with Audi (2003) and Daimler-Chrysler (1999). “Part of the work that we have done,” the scholar and researcher affirms, “is already a reality. Audi has inserted some elements in their latest models. Other ideas have been taken up in future projects, like those dealing with self-driving automobiles.” Whether they predict or anticipate, one thing is certain: computers prepare for us a future with fewer worries. Asking what we pay in exchange is still open.